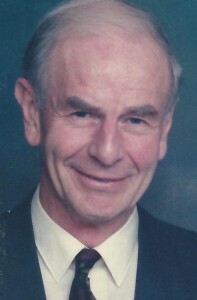 Dr Bernard John Forde, MBE JP PhD. Born February 17, 1935, died October 11, 2018. Today is the funeral of a man who pushed, to the best of his scientific and political ability, to get action on climate change. Dr Bernard John Forde, MBE JP, was a plant physiologist who worked on environmental issues, and that, inevitably, led to climate change. And although I didn’t know it at the time, he also turned out to be one of the most influential people in my life.